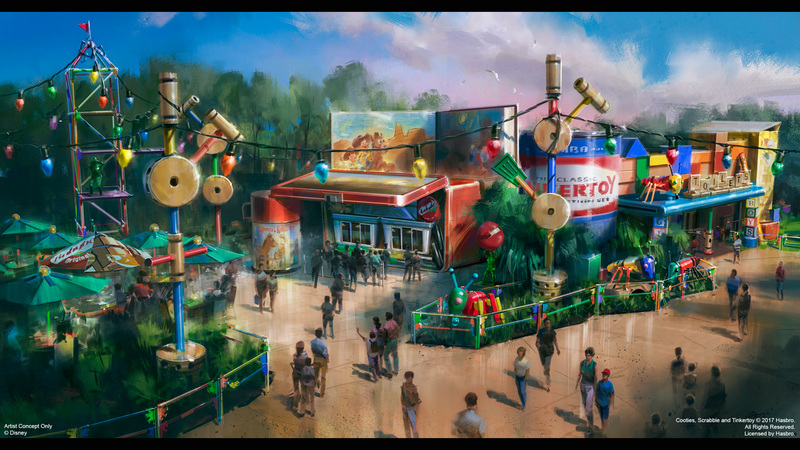 If you’ve looked at the model of Toy Story Land at Disney’s Hollywood Studios, or even if you’ve looked at the concept art for the new land, a keen eye would have noticed a dining location that had never been mentioned until today. In addition, according to the model, there will be a number of tables and umbrellas for Guests to enjoy their treats. Disney also today announced an alliance with Mini Babybel, which has been named the Official Snack Cheese of Walt Disney World Resort in Florida, the Disneyland Resort in California, and Disney Cruise Line. Of course, Woody’s Lunch Box is just one of the pieces of Toy Story Land. 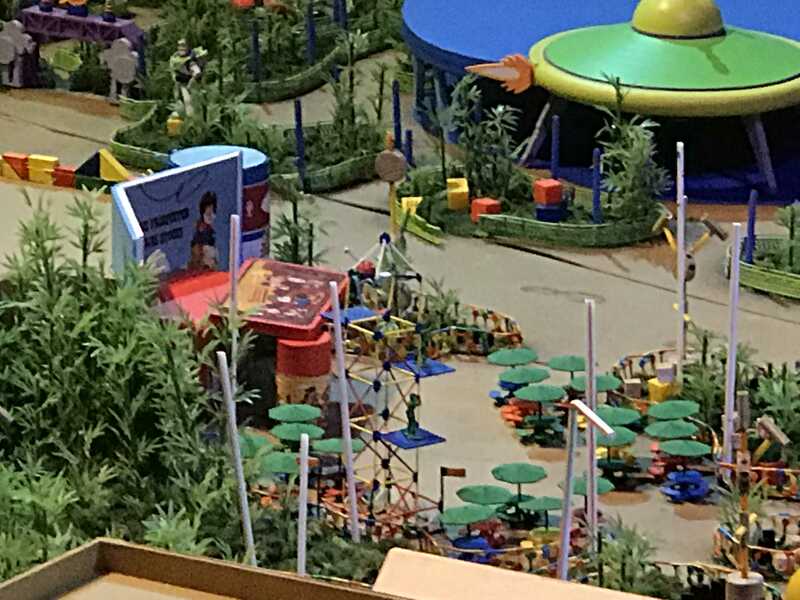 As a reminder, the land will also feature the Slinky Dog Dash and Alien Swirling Saucers attractions, as well as a new entrance for Toy Story Mania. Toy Story Land is set to open in the summer of 2018. Sounds like Disney is trying to create a mini-immersive land with Toy Story, and I think that is very cool. Here’s hoping for a May 2018 opening as I’ll be in The World in June 2018! Also note, at center-left on the tower, a Green Army Man is on duty watching for Andy’s return. Green army men walking around similar to what stormtroopers do now would be great. I suspect an Andy/Buzz/Jessie meet and greet location somewhere in the area, too.